Mark de Grasse has helped developed dozens of brands from scratch. Starting with the company and domain name, Mark has helped many business owners establish the necessary components to launch their businesses online. Mark de Grasse has developed over 150 websites since 2016. From simple yet elegant 10-page websites to thousand page databases for large companies and city chambers, Mark has developed websites for organizations around the world. Mark de Grasse has designed product labels in the food, fitness equipment, and sport supplementation industries. Mark has created tens of thousands of graphics for websites, social media platforms, videos, brochures, magazines, manuals, and more. 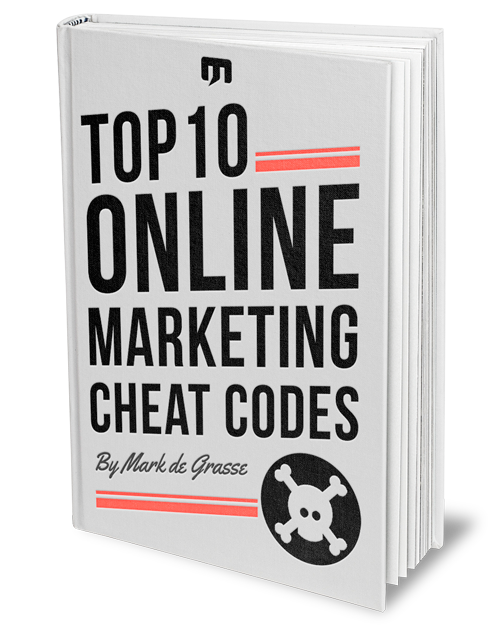 Mark de Grasse is the outsourced marketing director for several well-established online businesses. Mark directs social media, email, and content marketing for each organization. Mark has designed, edited, and composed over 50 online and printed publications, including his own book titled Unconventional Marketing. Mark has designed, written, and/or edited certification manuals for half a dozen companies. Mark has helped create databases of online content for dozens of organizations, creating over 5,000 pages of content over the last 5 years.